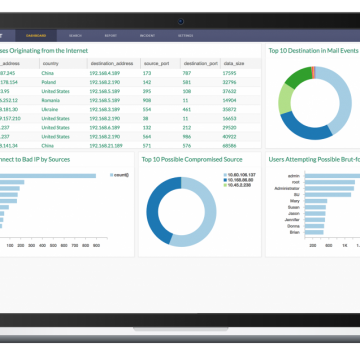 LogPoint is a full enterprise Security Information and Event Management (SIEM) solution; LogPoint extracts events and incidents from the logs of your existing IT infrastructure and provides a secure, centralized log archive. The solution is tailored to solve the specific security management challenges of your business – whether the goal is compliance, forensics or operational insight. LogPoint is scale-able and easy to implement and manage.